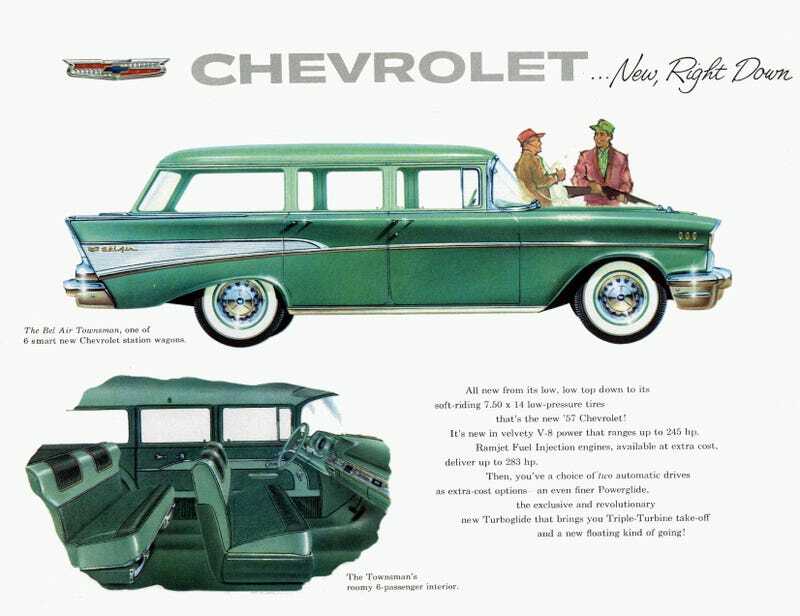 Back in 1957, if you wanted tons of interior space, you didn’t have to buy an SUV or a minivan. Back in 1957, if you wanted tons of interior space, you didn’t have to buy an SUV or a minivan. You could opt for this Chevrolet Bel Air Townsman, an inline six or V8 powered six-passenger station wagon that could be had with the silky smooth Turboglide transmission (a novel design consisting essentially of three torque converters lined up in series).